I’ve been wanting to do another sewing project and decided that I better start using up some of the scrap fabric I’ve been holding onto. 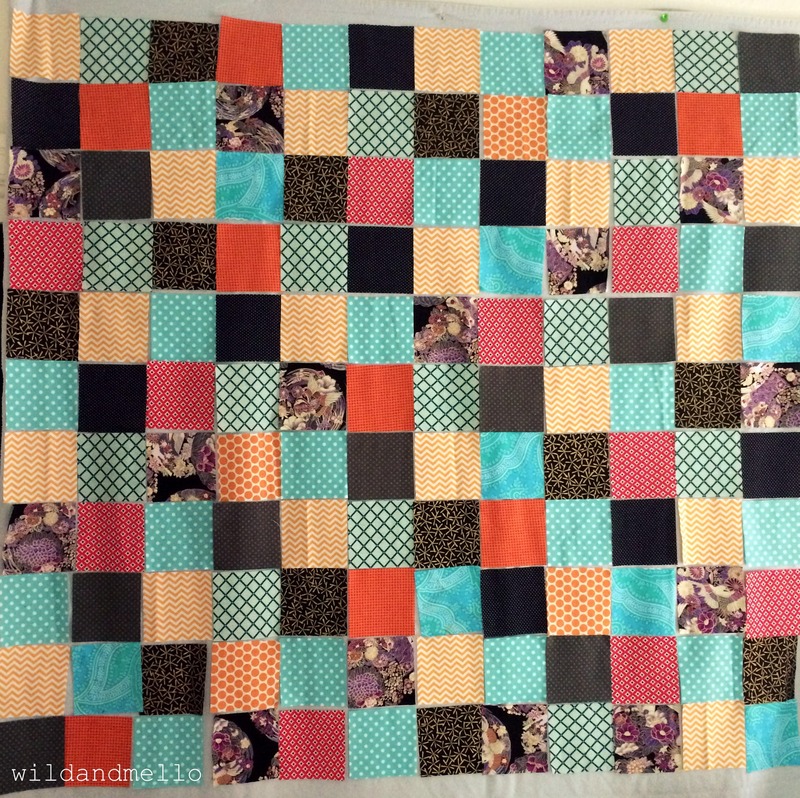 I sorted the fabric into a bold pile and a light pile and decided to make a small quilt with the bold colors. 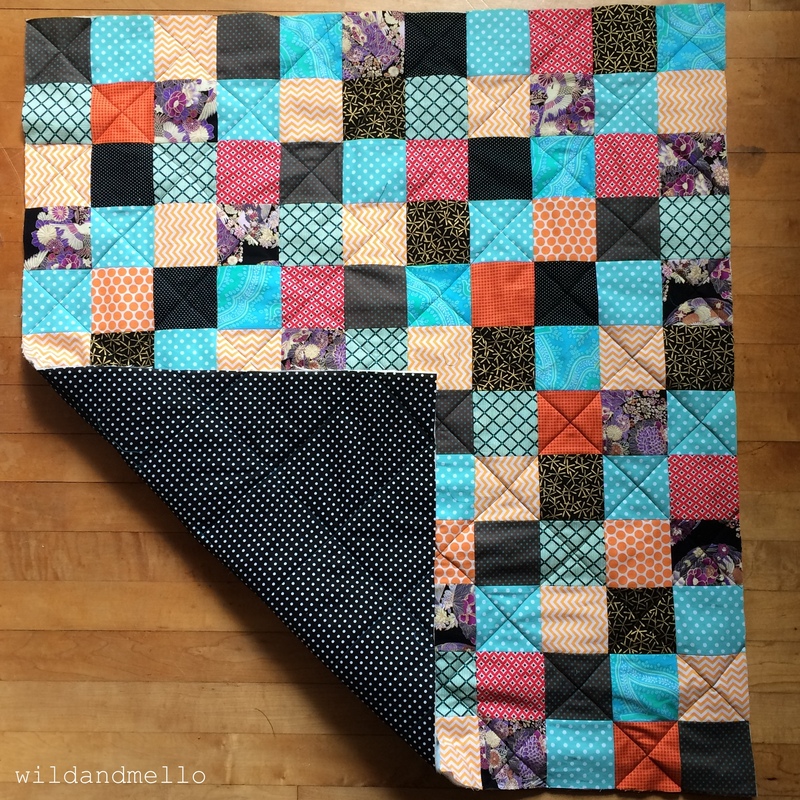 I basically followed along how I made my first quilt, cutting out the squares and then laying them out to figure out the pattern. 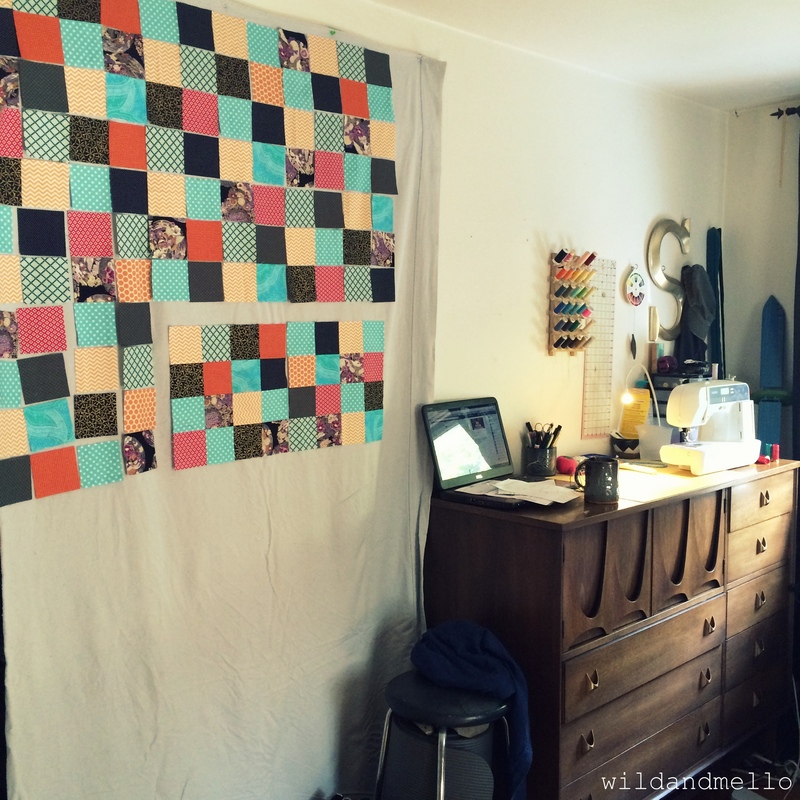 I did pin up an old flannel sheet to the wall as a quilt design board, which worked ok. I was able to put up the design but then my kids came along and were wiggling the fabric. I also had pinned it in front of the closet so when my hubby came home he wasn’t too excited to have to compete with the sheet and flying squares of fabric to get into his side of the closet. I think next time I will pin it up on the wall by my side of the bed, where I can keep the traffic to a minimum. For the inside of the quilt I used an old blanket that I had been holding onto thinking that it would work for something just like this and it was perfect (and there is plenty more for other projects). 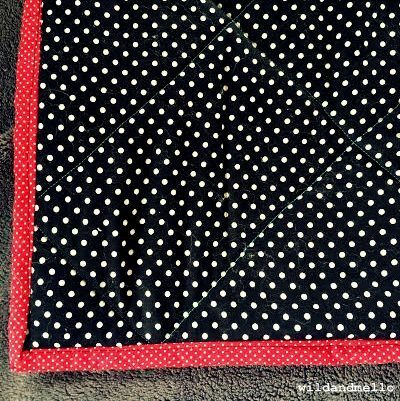 I had some strips of red with white tiny polka dot fabric left over from a Christmas tree skirt I made last year and used that as the binding. 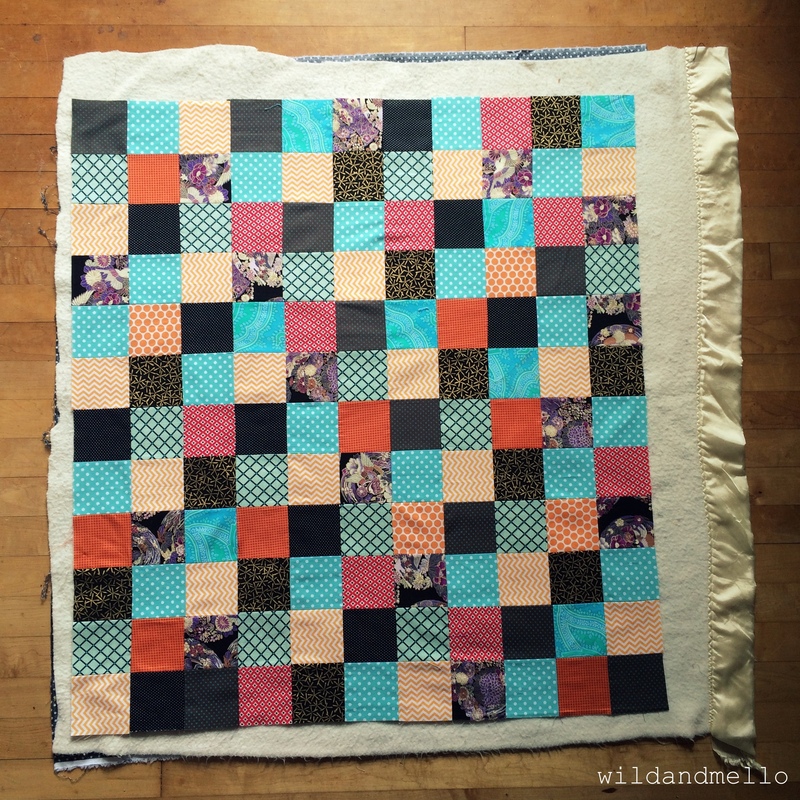 The quilt isn’t very big but I am happy with the end product, its just big enough for the girls to sit on for a picnic or to keep in the stroller for the park. 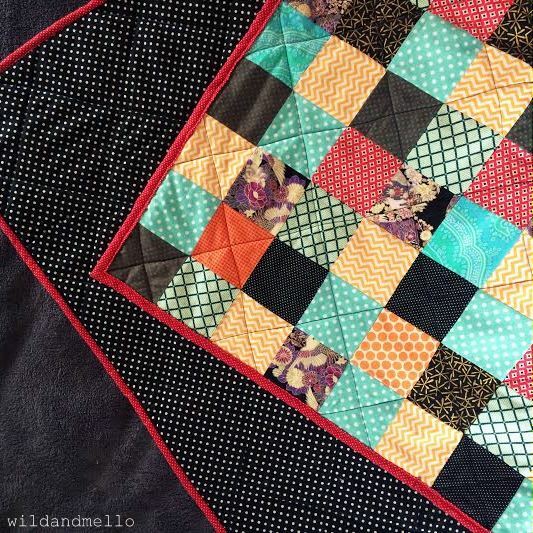 I think for the lighter pile I am going to try the half square triangle type quilt but will need to buy some white fabric for that so we’ll see what happens.